Migraines affect one out of every eight people. Most often, sufferers want to know how to find relief. It is important that one gets educated about how to best cope with migraines and the options that are available so that he can make an informed decision. Day to day living and work performance are impaired to a great degree when an attack hits. The side effects that accompany the medications used to help migraines are accepted as a part of life. However, this is not the only damage done by migraine medication to those who take it. 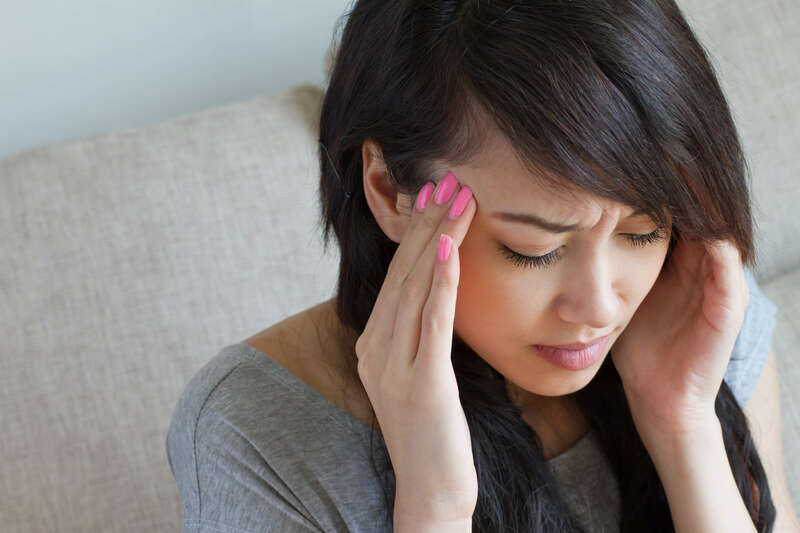 Something referred to as rebound, or medication overuse, headaches can occur with regular use of migraine medication. It doesn’t matter if these are prescription drugs or over-the-counter. Continual use of this type of medication can actually make the problem much worse rather than improving it. Therefore, it would be wise to try to find the underlying cause of migraines. To learn more about the connection between head and neck injuries and migraine headaches download our complimentary e-book NATURAL AND DRUG-FREE WAYS TO END YOUR MIGRAINES by clicking the image below. A connection has been seen between migraines and a misalignment in the upper vertebrae of the neck. The C1 and C2 are particularly susceptible to misalignments due to the great mobility that they possess. They are responsible for protecting the brainstem; however, if they become misaligned, they can place pressure on the brainstem instead of protecting it. It can cause blood flow to be hindered and communication to be distorted between the brain and the body. At Sherwood Spinal Care, we examine patients to find out if they have an upper cervical misalignment and its exact location. Adjustments are very gentle and are only given when needed. We thus help the bones of the neck to move back into their original position naturally. Once this is done, blood flow and communication are restored, and the body functions better overall. Many see their migraines improve, while others see them go away completely. At Restoration Spinal Care we utilize the NUCCA technique. This is a system of precision, low force chiropractic adjustments designed to correct the misaligned spine by gently moving the head and neck alignment first which influences the rest of the spine.